Why not join our head gardener – Nick Lightfoot on the 17th July and discover how to prune your fruiting trees to promote and enjoy a good healthy harvest. It’s a friendly and informal session where you get the chance to ask questions and see how it’s done here in the National Trust gardens. For further information please see our [Events page] on The Vyne’s National Trust website. I think that the pruning event was earlier last year. 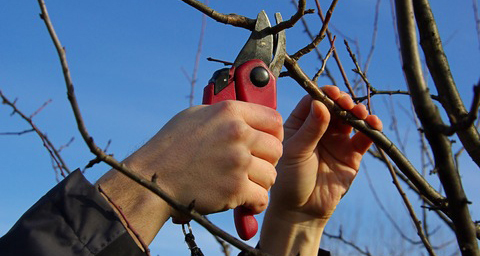 Is there a right or wrong time of year to prune? *Free-standing fruit trees or bush trees, such as those grown in an orchard should be pruned when they’re dormant, in winter. *Trained trees, such as espaliers, cordons, pyramids and fans should be pruned in late August or early September.